Looking for a reliable, affordable, and competent 24/7 emergency locksmith service in Pittsburgh, PA? Pittsburgh Any Time Locksmith is a 24-hr firm that has been active in the community for a decade now. We have helped countless home, business, and vehicle owners with their lock and key problems over the years. We are known locally as the go-to locksmith during times of lock-related trouble. When you hire our service, you can rely on speedy assistance. Our mobile vans can reach locations in Pittsburgh and beyond in a matter of minutes – usually 30 or less. Our locksmiths have the knowledge, experience, and tools necessary to handle most requests without breaking a sweat. You can hire us during the night or the day for the same baseline price. If your requirement is urgent and there is a lot of work to be done, we can also work overnight to get the job done as quickly as possible. 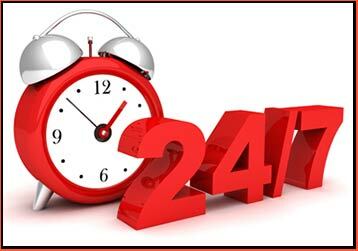 Need an affordable 24/7 emergency locksmith service you can count on? Call us now on 412-226-6529!